Microsoft's wireless Xbox 360 controller is an excellent option for the Nvidia Shield TV, PC, Xbox 360, and even Raspberry Pi. Xbox 360 wireless controllers benefit from native Nvidia Shield TV controller support. You won't have to mess with rooting your Shield TV. However, rooting your SHIELD is pretty simple. 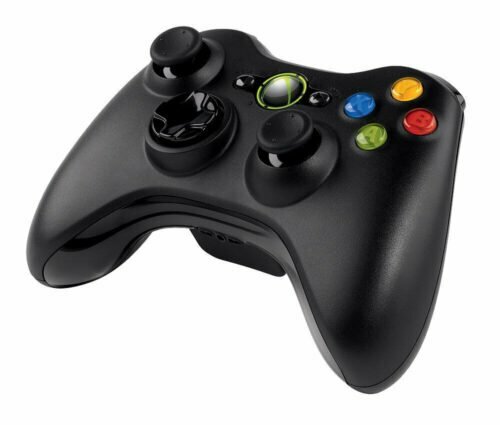 Further, the Xbox 360 wireless controller is comfortable to grip and takes AA batteries. As such, there's no proprietary charging cradle. For its comfort, cross-platform support, and native hardware support, the Xbox 360 wireless controller ranks as one of the best Nvidia Shield controller alternatives. Ipega PG-9025, an awesome Nvidia Shield TV controller alternative. 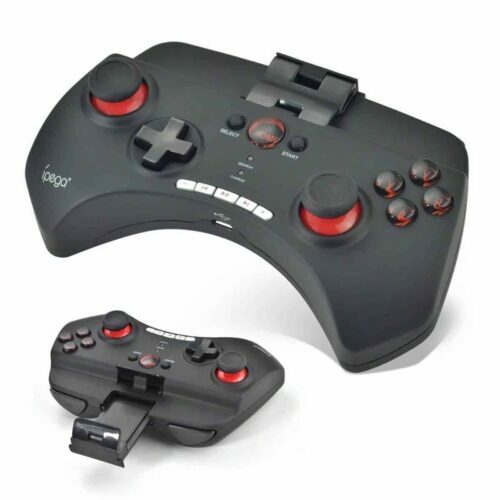 The Ipega PG-9025 Bluetooth controller functions across an array of platforms. Because it's outfitted with Bluetooth connectivity, the Ipega PG-9025 is Android, iOS, and Windows compatible. Ipega's gamepad prominently features multimedia controls on its bottom lip. Dual thumbsticks, a d-pad, and Y, A, X, and B buttons mean you've got all the necessary inputs for key mapping. Plus, you'll find home, start, and select in the center. While the PG-9025 is cross-platform compatible, its flip-up phone holder makes it truly spectacular. When not paired with an Nvidia Shield TV, you can bring the PG-9025 on the go for portable gaming. In its review, Home Theatre Life praised the Ipega PG-9025 for its Xbox 360-like control layout. Additionally, Home Theatre Life noted the boomerang form factor and media buttons. Ipega also makes the PG-9021 which is incredibly similar to the Xbox 360 controller. Nyko's Playpad Pro offers great comfort and battery life. 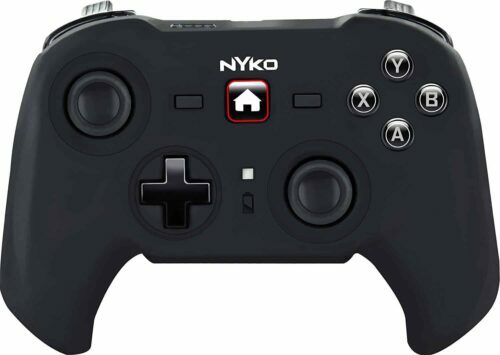 Nyko remains a well-known manufacturer of third-party gaming accessories. The Nkyo Playpad Pro lends a console experience to Android and iOS devices. A Bluetooth controller, tne Nyko Playpad Pro syncs with devices like the NVIDIA SHIELD TV wirelessly. Android Headlines allowed that while the Playpad Pro is a full-sized controller like a PlayStation or Xbox gamepad, it's comfortable during hours of gaming. Yet the Nyko Playpad Pro utilized an internal battery. This means that unlike an Xbox 360 controller, you can't hotswap batteries or battery packs. Additionally, the Playpad Pro is limited to button mapping on devices running Android 4.0 Ice Cream Sandwich or higher. While it's compatible with Android 3.0 and up gadgets, you can't map buttons unless you're running ICS and higher. This does not affect the Nvidia Shield TV which received an update to Android Nougat. Nevertheless, it's a limitation to be aware of for use with your other Android devices. The Mad Catz C.T.R.L.R. is an awesome NVIDIA SHIELD TV wireless gamepad option. Mad Catz offered its own microconsole in the Mad Catz M.O.J.O. Its C.T.R.L.R. controller is a solid device that's compatible with Android, iOS, and Windows. Integrated multimedia buttons allow the Mad Catz C.T.R.L.R. to serve as a remote. Considering the Nvidia Shield TV's bevy of entertainment options outside of gaming, it's an important facet. The C.T.R.L.R. boasts multiple modes. A mouse mode imitates mouse control, perfect for use with Nvidia's GameStream software. There's also PC mode on PCs and GameSmart mode for Android devices. 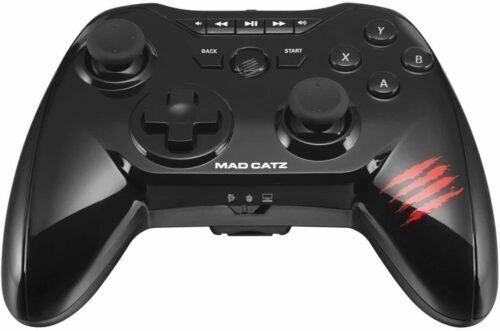 What makes the Mad Catz C.T.R.L.R. a fantastic Nvidia Shield controller alternative is its media hotkeys. These posit the C.T.R.L.R. as a gamepad-remote combo. The 8bitdo NES30 Pro for retro gaming and emulators on the NVIDIA SHIELD TV. Although the NVIDIA SHIELD TV is arguably the best device for Android games as well as streaming PC games, it's also an excellent choice for retro gaming. The Google Play Store is loaded with retro gaming emulator apps for the Nvidia Shield TV. Most of the controllers on this list adhere to a modern controller aesthetic. 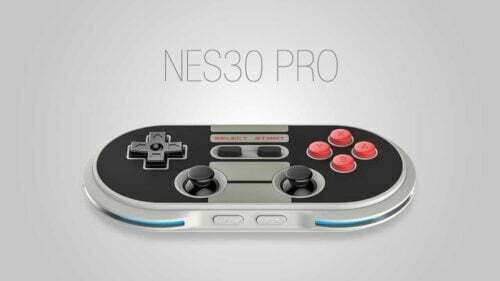 For nostalgia as well as retro gaming, try the 8bitdo NES30 Pro. But while the NES30 Pro captures the button layout of the NES and SNES controllers, it's modernized. There's a rounded, ergonomic design, dual thumbsticks, and an X, Y, A, B button crosspad. Therefore it's like an updated NES/SNES hybrid. For its old school sentiments and styling, as well as use with emulators for the Nvidia Shield TV, the 8bitdo NES30 Pro is one of the top Nvidia Shield TV controller options available. But gamepads are only one option for gaming on the NVIDIA SHIELD TV. A keyboard and mouse setup is another great Nvidia Shield TV controller alternative. 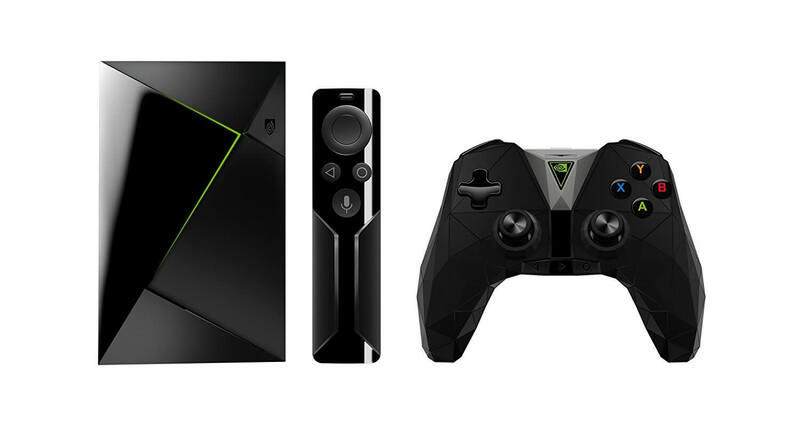 Though it's a superb Android TV gaming machine, the Nvidia Shield TV dominates at streaming. Check out the 20 best streaming apps for Nvidia Shield TV 2017. You can also learn how to sideload apps on the Nvidia Shield TV with ES File Explorer as well as these three Nvidia Shield TV launchers. Which Nvidia Shield TV controllers are you using, and what are you playing on your Nvidia Shield TV?